Select the transaction you want to refund. On the next page, Click on Refund button. 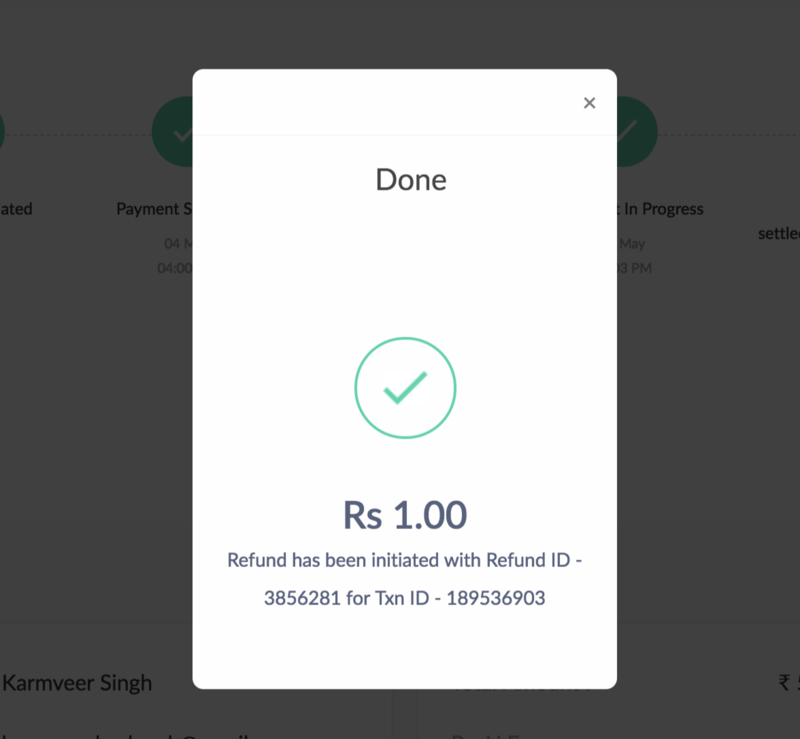 Select Full refund'/'Partial Refund as per your requirement. 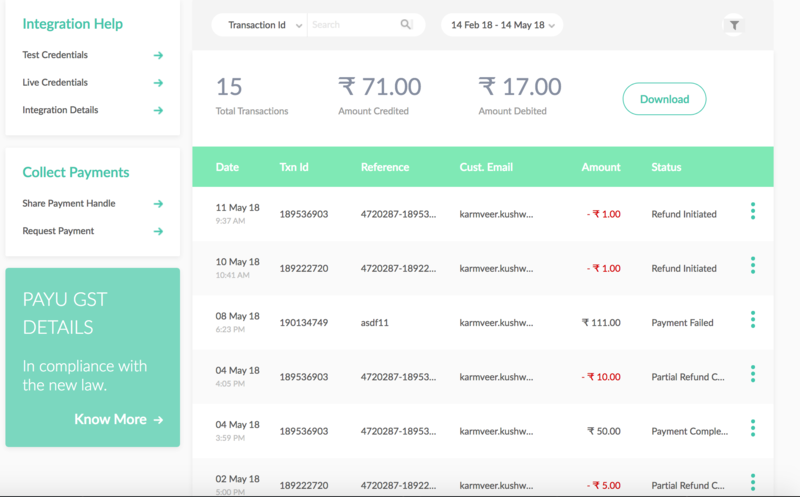 Watch this video on "How To Process Refund From PayUmoney Business Dashboard?" to know more. If you face any trouble, kindly drop in a request via our contact us page. 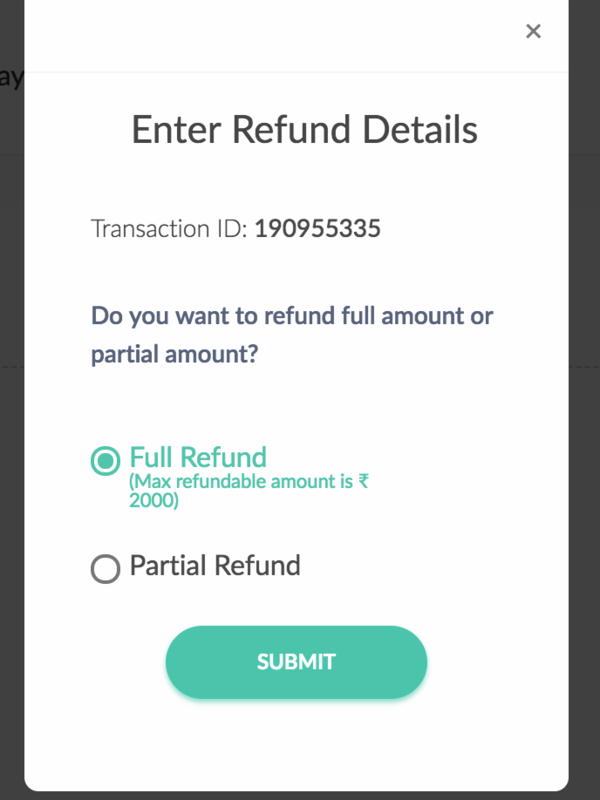 Please select ' Refund Related’ in the Issue type dropdown. We will be happy to help you. Refund will be initiated on the same day (provided you have sufficient funds in your PayUmoney account). It will take between 5 and 21 days for the refund amount to reflect in your customer’s bank account. In case of Netbanking transactions, certain government banks may take some more days. No, you will not be charged for initiating the refund. But the transaction fee that was charged during the initial transaction processing will not be returned. Please note that the refund amount will be deducted from your pending settlement. For example, your customer paid ₹ 100 for a product and initiated a refund after the amount has been settled. Here, entire ₹ 100 will be refunded to the customer and ₹ 2.36 will be deducted from your settlement. In case you are not able to initiate refund via dashboard, kindly drop in a request via our contact us page. Please select 'Refund Related’ in the Issue type. We will be happy to help you.